12/12/2015. The Designer Limited Edition Book and the Portfolio are now ready for purchase in time for Christmas delivery. Reserve your copy at the website and Roy will contact you directly. Roy Lonberger had a front row seat to the greatest show on earth: General Motor’s Magic Kingdom, GM Styling. 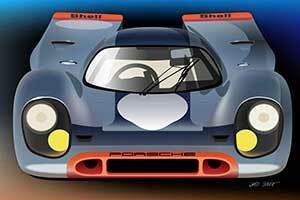 Orchestrated by none other than the era’s most flamboyant automotive designer, Bill Mitchell. 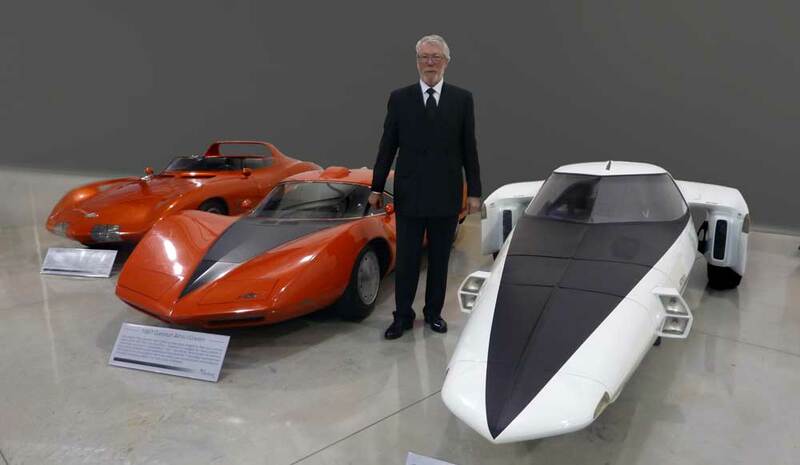 Roy was Head of Bill Mitchell’s secret Studio-X during the mid-1960s, fleshing out WLM’s latest ideas with fresh concepts that turned into some of GM’s most amazing and outrageous concept cars. I built scale models of some of Roy’s designs growing up, waiting my turn to join the circus. The coffee table books are impressive. 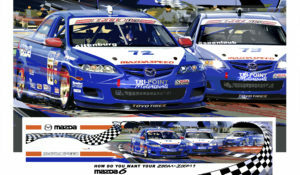 The proof copy sent to Dean’s Garage for review had two hard cover volumes measuring 13 x 11, with a total of 706 pages. Mitchell was a complex man. A series of anecdotes in the book from those closest to Mitchell paint a detailed portrait of WLM from various points of view. The 2011 John Manoogian Heritage Center interview with Roy Lonberger is included (Part 1 and Part 2 are on Dean’s Garage), as well as the 1983–84 Edison Armi interviews with Mitchell. 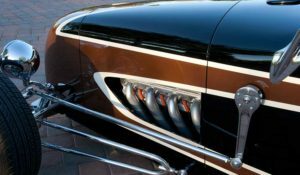 The volumes contain many historical photographs of Mitchell and Styling, mouth-watering photos of Mitchell’s concept cars by Michael Furman, and styling renderings from the Mitchell dynasty. Jim Hall’s Chaparrals are part of the story, beautifully photographed by Roy D. Query. 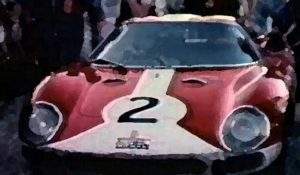 There are several posts about Mitchell on Dean’s Garage: A Bill Mitchell Anecdote, A Salute to William L. Mitchell, Reminiscences of William L. Mitchell, and many other references to him. That’s one of the Mitchell quotes that highlight every section in the book. I think I was there when he said that. “As Head of Bill Mitchell’s secret Studio-X during the mid-1960s, I had an up-close and personal look of Bill Mitchell and his design passion. My story explores the journey of a kid from the streets of Compton who studied engineering at the University of California, graduated with Honors from Art Center in industrial design at the age of twenty-two, and went to work as a designer first for Ford followed two years later at General Motors. 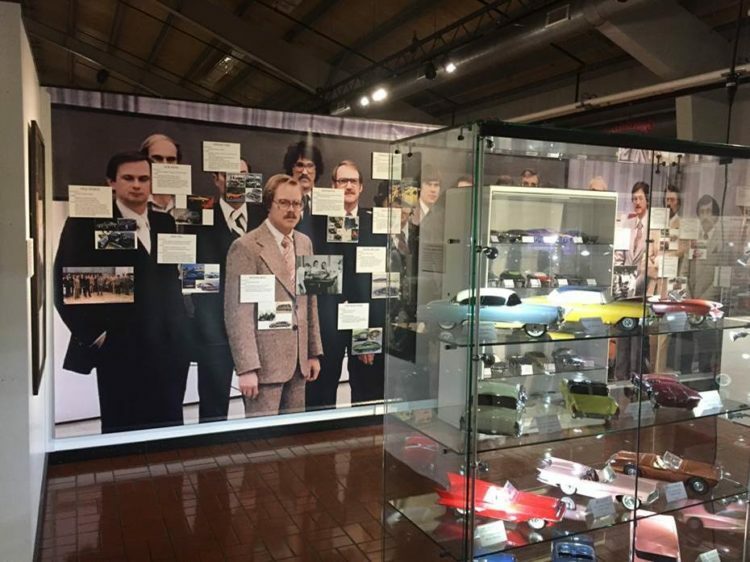 “It also explores the forty year period after I left GM and created Magna Design into a major international product design and marketing communications firm, during which time I had a working relationship with the CEOs of over 250 companies. I know what makes great design and successful business leaders. “WLM managed his creative team like the conductor of an orchestra, waving his arms like a baton, demanding excellence, and achieving the results of his vision. He was a Maestro. Photo by Carol Johanson & David Koontz. Roy has prepared a 7-page sample to download for Dean’s Garage readers. 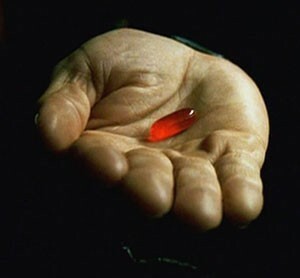 BillMitchellBook.com has the latest release news and how to reserve your copy. Volume 1 Cover Jacket. Photos by Michael Furman. My book originated with a request by GM to travel to Detroit to be interviewed at the GM Heritage Center about my years working for Bill Mitchell. The interview was in 2011. A year later I decided to write about the interview for Dean’s Garage. Afterwards I decided to enlarge the interview into a book about Mitchell. Working directly with (and licensed by) GM, I have had an archivist assigned to me for three years providing information, pictures, and internal communication. As I gathered all of this information, it became apparent to me that many people had different impressions of Mitchell. So I decided to turn the book into a compendium of articles and chapters written by various designers and esteemed personalities who knew and worked with Mitchell. The result is a never before seen image of the complete man as a designer, leader, and manager. That is why the book is so compelling. It is also a subset of the larger story that under Mitchell, his styling department became the very first industrial design department used inside industry, as a way of creating customer appeal for future product purchases. Today, the entire auto world owes their genesis to Mitchell. 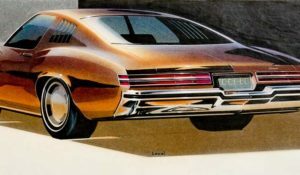 The original 84 contributors included all of the four succeeding VPs of Design (Welburn, Cherry, Jordan, and Rybicki), a foreward by Peter de Lorenzo, a chapter from many of the chief designers during the period 1958–1977, independent design offices (including ItalDesign, Giorgetto Giugiaro, Chris Bangle, and Bertone), an article by the Dean of Corvette Karl Ludvigsen, and the racing world (Jim Hall, James Musser, and Sir Stirling Moss). Additionally, a world-class exhibition of designer sketches, clay models, and photographs (most of which have never been seen before). Included is an extremely rare collection of all of Jim Hall’s Chaparrals, photos taken by Roy D. Query, who for twenty-five years was the head of photography for Automobile Quarterly. And also, many photos (including the cover) by world famous studio photographer Michael Furman (who prepared the books for Ralph Lauren, Dr. Frederick Simeone, and Peter Mullin). Additionally, dramatic photography was created specifically for the book by Carol Johanson and Dave Koontz. Lastly, Joe Bortz provided open access to his museum of GM dream cars.. 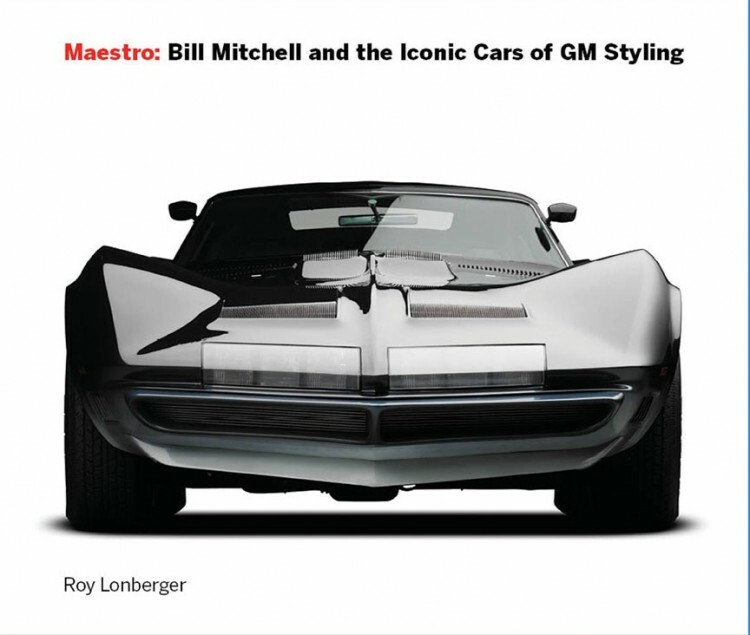 The long awaited book Maestro: Bill Mitchell and the Iconic Cars of GM Styling by Roy Lonberger was officially introduced August 11 during AutoWeek at the Pebble Beach home of Tex Otto (automobile enthusiast and collector). Over one hundred guests attended the event and cocktail party including Wayne Cherry (retired VP Design, GM and designer of the Cadillac Sixteen), Peter Brock (designer of the Stingray and Shelby Cobra Daytona), Ken Eberts (creator of the AFAS), and Tim McGrane (executive director of the Blackhawk Museum). Additional guest included GM and Ford car designers, AFAS artists, journalists, collectors, and family and friends. Three years in the making with the support of General Motors, the coffee table book of 706 pages was presented as a prototype in six bound chapters. 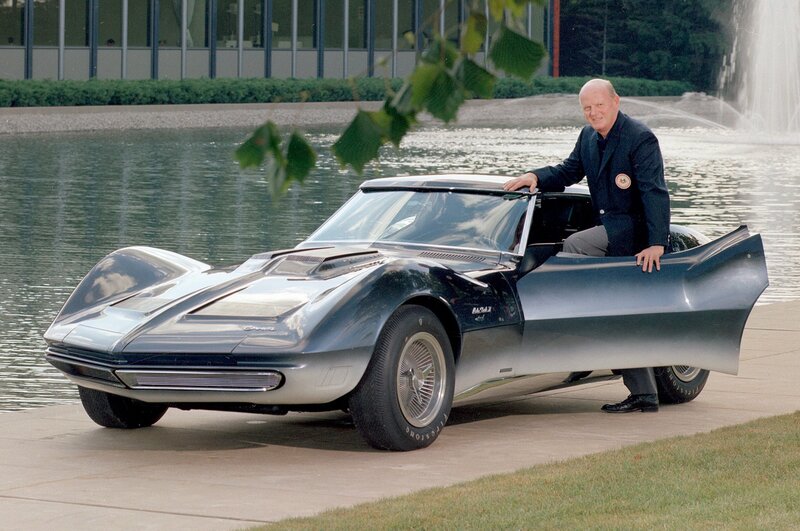 It covers the complete twenty year period (1958-1977) that Bill Mitchell was VP Styling at General Motors and responsible for the design of the world’s most Iconic cars. It includes contributions by 82 world famous designers, collectors, writers, and racers (including Ed Welburn, Giorgetto Giugiaro, Ken Ludvigsen, Chris Bangle, and Jim Hall). 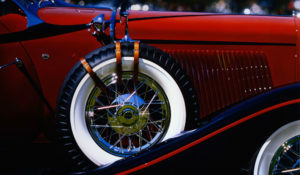 There are 1,127 photographs from leading photographers, collectors, and museums (including the GM Design Archives, GM Heritage Center, Michael Furman, Roy D. Query, and David Koontz). Any chance that the 1958 XP-75 featured in this book? The 1959 Buick 2-seater? Congratulations! You’ve done it, and Bill no doubt would be well pleased with your tireless efforts… As one voice among many, we fellow designers salute you! It is certainly time for this to appear, and have so many coworkers and others able tell the stories. I doubt there are many that can go as far back as 1938. I met him at a party when I was 18, an apprentice designer at Briggs, and he was about 22 and a hot property under Harley Earl in Cadillac Studio. Later we were officers in the same Naval Aviation outfit. After the A-Bomb, Bill told me that Earl was pressuring him to get out of Navy and back to Cadillac, but our admiral wasn’t impressed. I knew I’d be stuck for awhile, so I volunteered to produce a new Dive-Bombers Pilot’s Handbook and art editor for “Introduction to Naval Aviation.” Bill got out, and I was in. Congratulations Roy and thank you for taking the time to write this book. I’m thrilled that Bill Mitchell’s rein has is been recognized as a worthwhile topic to publish. I can’t wait to read the book and sincerely hope the many stylists who worked under Bill are given credit for their contributions. 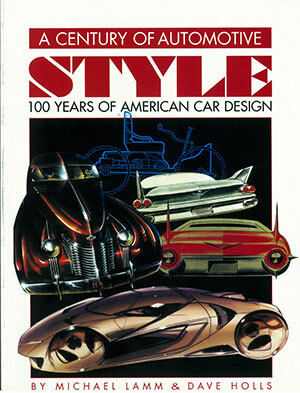 Thank you sincerely for documenting my favorite era in car design. Homer Lagassey once told me that Bill said he liked fender tops creased like a well pressed pair of pants, I’m looking forward to reading more Mitchell-isms in your book. Many thanks Gary for reviewing my book and for creating this fantastic article which celebrates the Bill Mitchell era. After five weeks of online marketing, all of the Designer Limited Editions sets have been sold My appreciationj to the twenty five enthusiasts who stepped forward and purchased the books. Next on the horizon is the Student edition, at 220 pages. If all goes well, it will be available in the spring. My thanks to Gary Smoth and Deans Garage. Bill interviewed me at Pratt Institute for a position at Styling, as it was called in those days before Ralph Nader. He wanted to know if I had gasoline in my veins? My friend Russinoff assured him that I did. Thanks to Russ I was on my way to forty years working for Bill for all the years of his Vice Presidency. As a new kid on the block your biggest desire was to be accepted by the boss, Mr Mitchell! I had spent a couple of hours one weekend rendering a red Experimental Corvette of my own design. 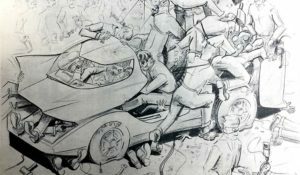 Mac had me nail it to one of the cork panels on the side of the Chevrolet studio. Early in the morning Bill came in and was wandering around looking at various sketches. He stopped at mine and so did my heart. He came over to Mac and said a few words to him. After he left I was informed I had been given a $100 raise. That was the biggest reward I could ever have had, pleasing the Boss and getting a raise. Bill was good that way,rewarding his people. Latter on the money got a bit tighter. Bill came on very strong leading the industry in an all new line of Cars, from Chevrolet to Cadillac forward from 1959. They were all fresh and distinctive looking with their own character, and with new beautiful low proportions, thanks to Bill. Thank you Bill for making Industrial Design such a pleasure while working for you. You were the best! !